If you’ve grown up in the U.S., you’ve probably had a taste of the ‘famous’ Peanut butter and Jelly sandwich at some point in your life. It is one of the first meal that kids in today’s society are exposed to as soon as they can chew. Oh so yummy right?…but unfortunately, not so healthy. Peanut butter is one of those silently and slowly damaging processed foods that most people do not know about. Peanuts and peanut butter are filled with aflatoxins, a cancer-causing carcinogen that is a naturally occurring toxic metabolite. Aspergillus flavis is a fungus that grows in the moist soil where peanuts are planted and they produce the aflatoxins. As the peanuts grow they absorb these little toxins and we, the consumers, eat them. So what can we do if we love peanuts so much? 1) Since these lovely fungi grow where the atmosphere is moist, it’s worth a look around for manufacturers whose peanuts come from dry weather areas, such as New Mexico. 2) Buy organic. 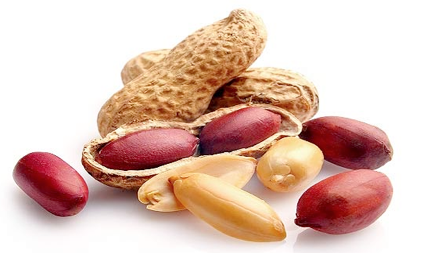 Even though organic raw peanuts or peanut butter is likely to contain aflatoxins it is still far better than eating cancer-causing pesticides and harmful chemicals along with your peanuts. 3) Fridge your peanuts and peanut butter product. At least it will prevent it from further fungus growth. 4) Blast your body with raw garlic. It’s one of God’s given most powerful miracle worker that kills aflatoxins. It contains one of the 30 different Phytochemicals, a bioactive compound called Allium that is an anti-cancer ‘worker”. There will be more about garlic in another post soon. Bottom line is: raw garlic is good for you. 5) Compensate your diet with substantial amounts of Chlorophyll, which is also excellent to suppress the activity of aflatoxin. Chlorophyll is found in large amounts in raw green vegetables, seaweed, wheatgrass etc. so perhaps it’s time to change those eating habits. 6) Increase your intake of digestive enzymes that are proven to break down and push out any toxins from the body. In fact, literally, they will enhance your vitality, your cellular activity, and your immune system. They also slow down the aging process and so much more. Do your own research on this. There is so much to learn about Enzyme therapy. You can learn more and watch videos about this on Puralive.com. Two important types of enzymes are Amylase and protease the two major digestive enzymes also found naturally in many foods such as raw fruits and vegetables, raw nuts and legumes or supplemental enzyme products. However, it is extremely important to take the time to properly chew the food, especially raw vegetables because that is how the enzymes** are activated. 7) Find another tasty protein source. If you eat peanuts you might like almonds, Brazilian nuts, cashews or walnuts. The best way to eat all these is in raw organic form and some of these you can also sprout, like almonds, which provide significantly more life force energy than in their non-sprouted form. 8) Lastly, you can move away from it all-together and upgrade to Almond butter – a much healthier alternative and it’s delicious too!